Technically titled an oral and maxillofacial surgeon, these doctors are specialists that have received 4-6 extra years of schooling in a hospital-based residency program in order to treat problems relating to the hard and soft tissues of the face, mouth and jaws. The upper jaw, called the maxilla, is often referred to as the architectural key of the face, because all facial bones except the mandible touch it. The complexities involving the maxilla (the eye sockets, nasal cavities, hard palate etc.) necessitate the extra schooling for oral surgeons. Along with general surgery training, they spend time learning such specialty areas as internal medicine, anesthesiology, and otolaryngology (ear, nose, and throat). Plastic surgery and emergency medicine are also included in their residency. They are experts at diagnosing and treating all issues related to the jaw and facial bones. 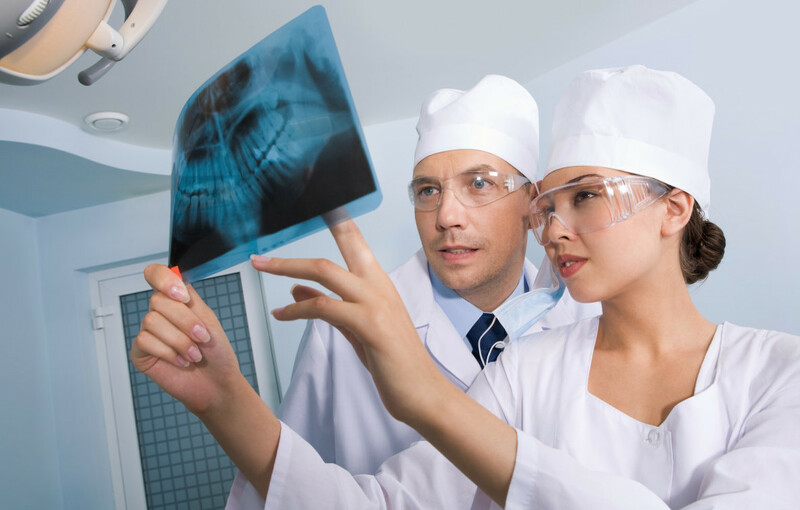 An oral surgeon is a vital part of the dental network. 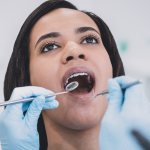 Tooth Extractions – Perhaps the most common procedure an oral surgeon performs, tooth extractions are often necessary when wisdom teeth begin to grow in at an improper angle or placement. 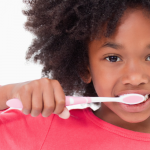 Some tooth extractions may also be necessary from severe injury or infection. Dental Implants – Often a preferred method of tooth replacement over dentures or bridges, dental implants involve an imbedded screw within the jawbone fitted with a cap that matches the client’s teeth. Implants require a sound knowledge of the jawbone and surrounding areas in order to ensure the procedure’s success. 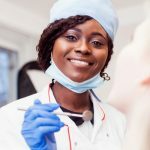 Orthognathic Surgery (Corrective Jaw Surgery) – This surgery is sometimes needed to correct a misaligned bite that cannot be corrected through orthodontics. This surgery can also be needed for repairing congenital abnormalities, or birth defects, such as cleft palate. Treat Facial Trauma – Oral surgeons can reconnect severed nerves, set fractured jaw and facial bones, and repair minor to complex facial skin lacerations. They treat facial injuries involving the oral tissues, jaws, cheek and nasal bones, eye sockets, and the forehead. 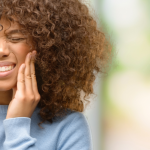 Alleviate Problems Associated with TMJ – Temporomandibular Joint Disorder (TMJ) can cause severe discomfort and pain for those affected. Oral surgeons are able to perform joint surgery for advanced cases of TMJ, alleviating headaches and severe facial pain. Remove Complex Tumors (Onocologic Surgery) – Some patients have tumors that have developed in the oral cavity or facial area. Whether these tumors are benign or cancerous, oral surgeons are able to effectively remove the problem area. Facial Reconstructive Surgery – Oral surgeons also work closely alongside plastic surgeons to accomplish desired changes in facial structure and appearance, cosmetic or reconstructive. An oral surgeon has had the extra years of schooling, training, and experience necessary for treating these unique issues with skill and ease. The oral and maxillofacial areas are highly complex, requiring the expertise of an oral surgeon for treatment. If you desire expert care that alleviates your problems the first time, you need an oral surgeon. …simply put, your answer to better living. Get rid of a tumor. Get rid of the pain. Get rid of the embarrassment. Whatever your need, an oral surgeon is ready to fulfill it! Contact Penn Dental Medicine today at 215-898-8965 for all of your oral surgery needs. You will receive quality care from dental students that are being guided and trained by the top oral surgeons in the nation. Get in touch with our oral surgeons today!